Bobby’s birthday was last week and although I’m still stuck in Davis cramming immunology, renal physiology, hematology, parasitology, and all sorts of other -ologies into my brain, I needed to send him something tasty. 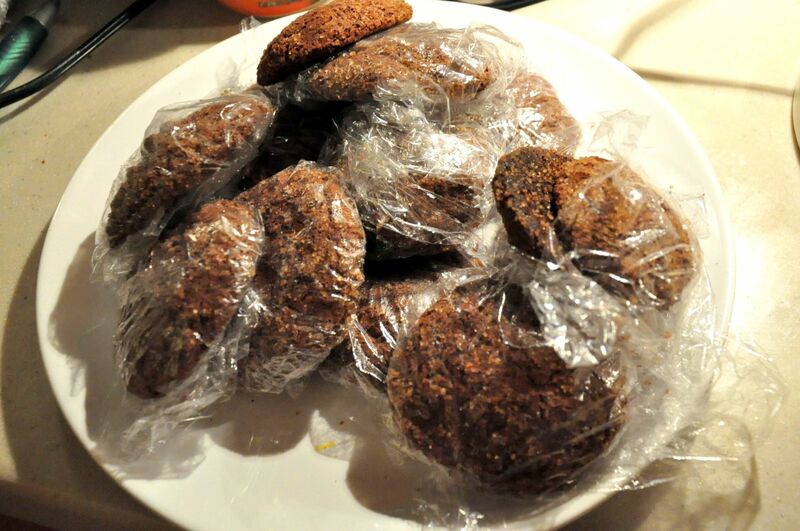 Enter crack cookies. 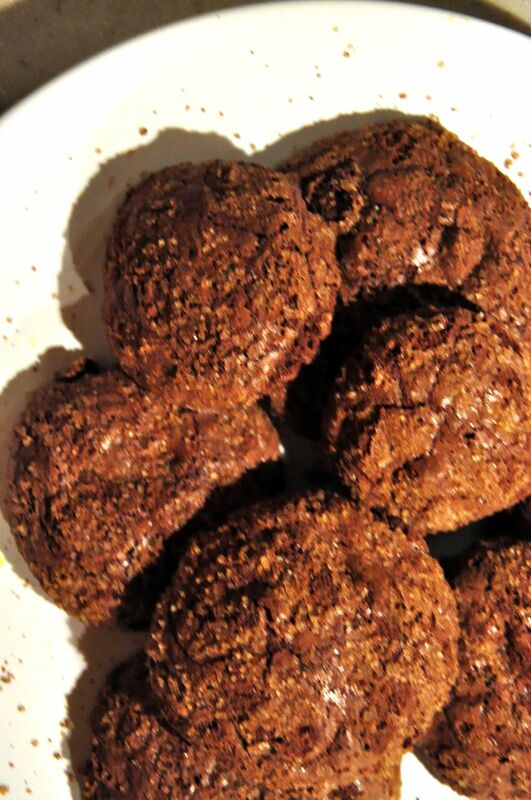 These things have another name (flourless deep dark chocolate cookies), but they’re so good that they taste like there’s crack in them (assuming crack tastes good…). They also crackle on top. Instead of rolling them in powdered sugar, I used raw sugar for an extra crunch. Plus, the melted sugar gives it a molasses-like flavor. Next time, though, I’ll probably use bittersweet chocolate chips instead of semisweet, as these cookies were a bit too sweet for me. Heat oven to 400 degrees and prepare two baking sheets. Melt 1 cup chocolate chips in the microwave, stirring occasionally. Let cool while you make the meringue. Beat egg whites to soft peaks. Gradually add in 1 cup powdered sugar and beat until the mixture resembles melted marshmallows, about 30 seconds. Whisk the remaining powdered sugar, cocoa powder, corn starch, and salt and gradually add into the meringue. Mix until combined. Add in the melted chocolate and remaining chocolate chips. The “dough” should be stiff, almost the texture of truffle chocolates. If it’s still too soft, try waiting a bit for the melted chocolate to cool a little more. Roll dough into spheres and roll in raw sugar. 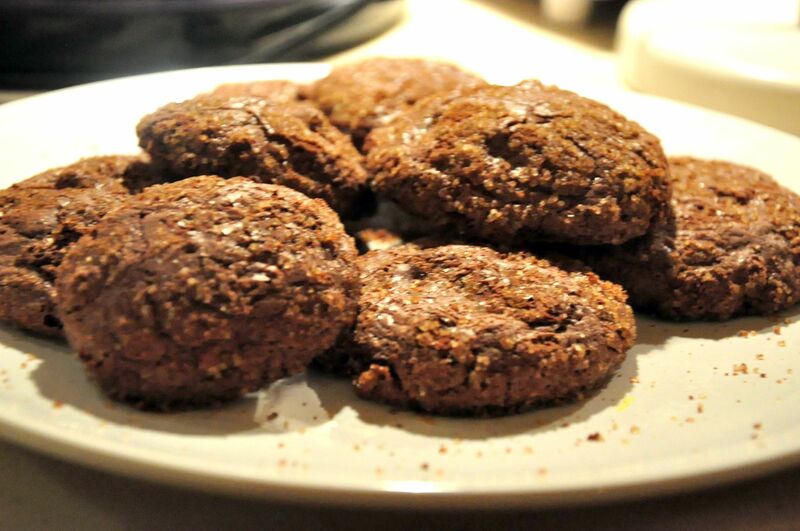 Place on baking sheets about 2 inches apart–these cookies will spread! Bake for about 11 minutes, until the tops are cracked. Makes about 20 three-inch cookies. Oooh, I love beer bread so much. Not only is it delicious, but it’s so easy to make. It takes less than 5 minutes to mix up all the ingredients and only about 12 minutes to bake. My roommates keep convenient 12oz bottles of beer in the house, so I’ll whip up a batch whenever I get a cheese craving. 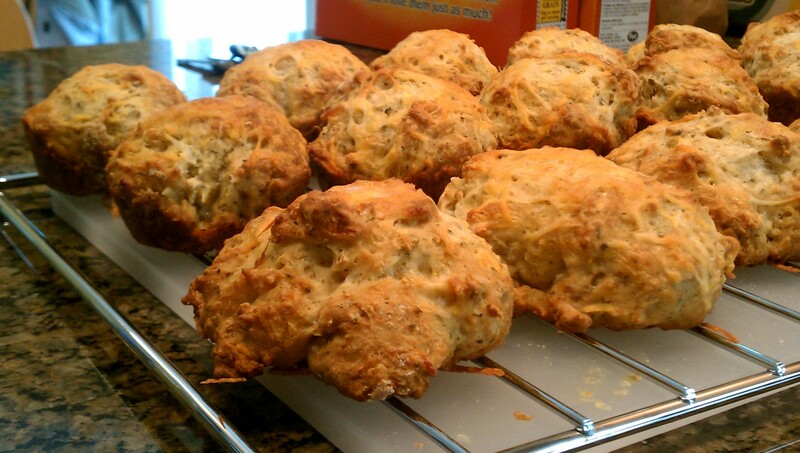 Most beer bread recipes make loaves, but I’m more a fan of the muffin or scone-sized variety. 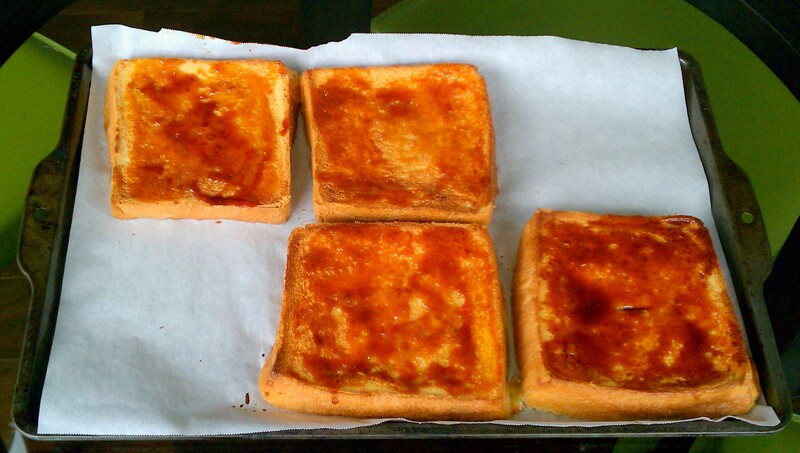 I really like the crunch around the edges, especially the slightly burnt cheese topping. Plus, the it cuts the baking time waaay down. I get between 15-20 “muffins” out of this recipe, depending how full I fill each cup. I’ve tried this recipe with a variety of beers, including stouts, light beers, and ciders. The more bitter beers make more bitter breads, obviously, but in some cases the flavor is a bit too much. 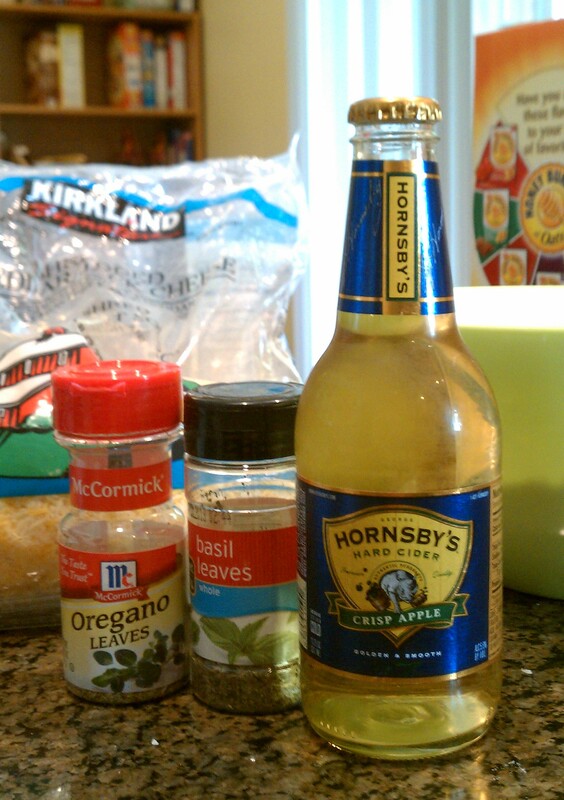 On the other hand, the beer-y flavor is pretty much lost with ciders and Corona Light. I personally prefer a lighter flavor, but it’s definitely a personal choice. Note: For the “herbs,” I tend to use whatever’s on hand. Basil, oregano, and garlic salt taste pretty good together, which is awesome ’cause it’s all I currently have in my cabinet. I tend to have a heavier hand in terms of seasoning, so adjust it to your taste. Preheat oven to 350 degrees. Grease either a muffin tin or baking pan with baking spray and set aside. Whisk together all the dry ingredients in a large bowl. Pour in beer and mix thoroughly with a fork. 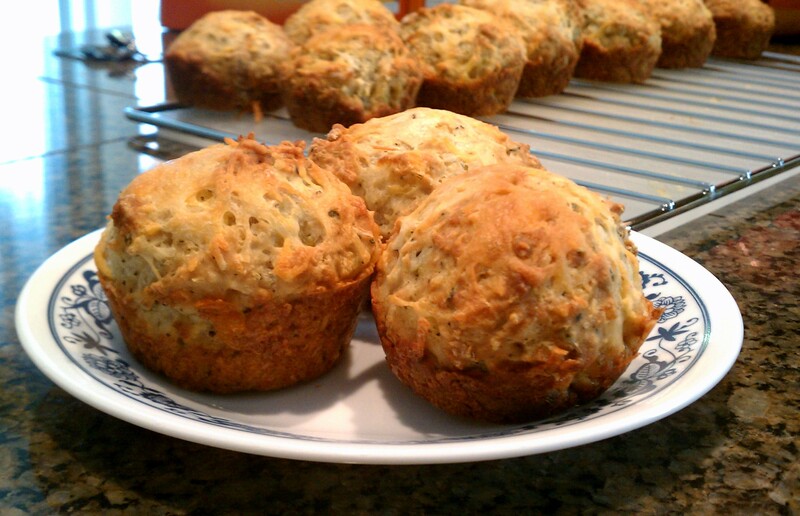 Fill muffin tins about 80% full with batter or drop 3-inch dollops of batter onto the baking sheet. 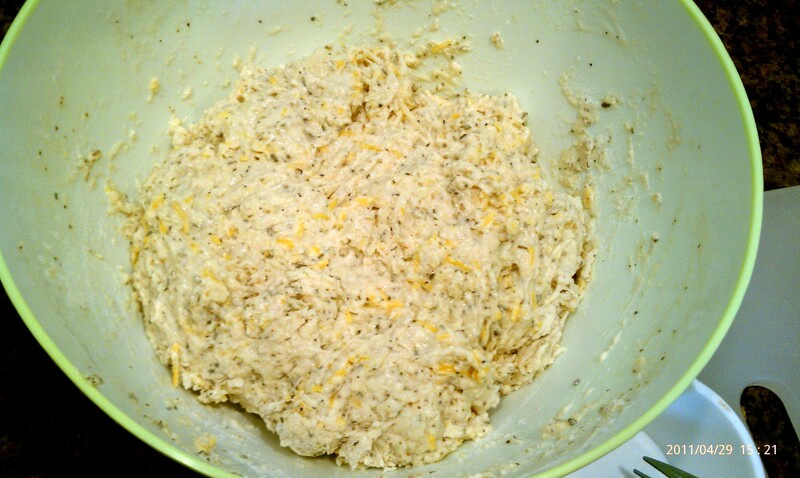 Top with some sprinkled cheese and bake for 12-15 minutes, until bread is golden brown. A few weeks back I decided to start doing Meatless Mondays, encouraged by several factors including the global warming crisis, a desire to explore more interesting vegetarian dishes, and a friend who was also doing it. However, the most compelling reason I started was that the Sunday before we had done some sort of barbeque and I had eaten so much meat that my stomach was upset at me for days. Hence, Meatless Mondays was started to counteract Shitless Sundays. To be honest, eating is a much more interesting act now than before I started. It’s not like I’m doing salad and health food on Mondays. No, the food is actually quite filling, and in many cases involves a healthy dose of oil, cheese, and glutenous things. It’s just that I am able to break the monotony of the standard weekly fare – rice plus some sort of grilled meat, or rice plus stir fried onions and peppers. Mondays I look forward to experimenting with whatever strange, exotic, and green leafy things I bought on a whim on a previous Haymarket run. Some examples include eggplant and tofu stir fry, grilled muenster sandwich and tomato bisque soup, and daikon and baby bok choy stew. Maybe if I start doing reruns I will make posts of those on a future Monday. This week I mixed my Asian and southern roots, and made a collard greens and daikon gumbo. Can you even call it a gumbo, even though i’m from the coastal south, not the gulf south? I don’t know, but it turned into a ricey, beany, spicy mix that has the consistency of gumbo. So here’s the recipe to a super creamy and rich asian/southern cuisine. Heat oil in a wok, and add in chopped garlic. Wash collard greens and chop into small pieces (1-2 inch squares). Peel and roughly dice an onion. Add onion to the hot oil and cook until almost translucent, and then add all the collard greens. Stir fry collard greens and onions for about 5 minutes, adding in salt and a generous amount of red pepper flakes.Add in black beans, then add in the can of vegetable stock, plus a second can’s worth of water. Peel and slice daikon, then cut slices into quarters. 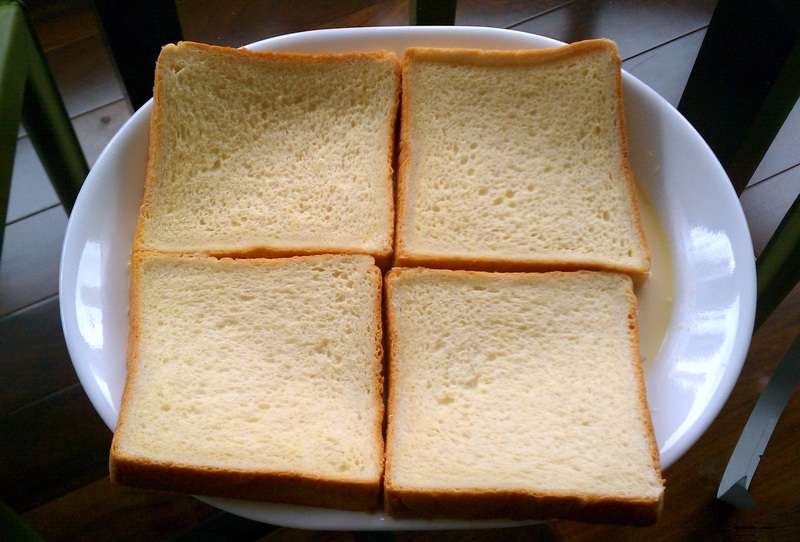 Slices can be thick and chunky. Add the daikon and the precooked brown rice into the wok, and make sure there is enough water to partially submerge the daikon. Put a lid on the wok and let it simmer for 20-30 minutes. Occasionally stir the daikon and rice into the liquid so that it will cook thoroughly. I used brown rice that was still slightly crunchy, so by the time the vegetables were ready the rice was essentially recooked. The dish is ready when the daikon is thoroughly soft, and the stalks of the collard greens are tender. My sister and I have made my mom breakfast in bed for Mother’s Day every year since we were old enough to reach the microwave. Unfortunately the past few years, I’d been on the other side of the country, so I had to make up for it this year. I halved a recipe from Smitten Kitchen and got surprisingly good results! 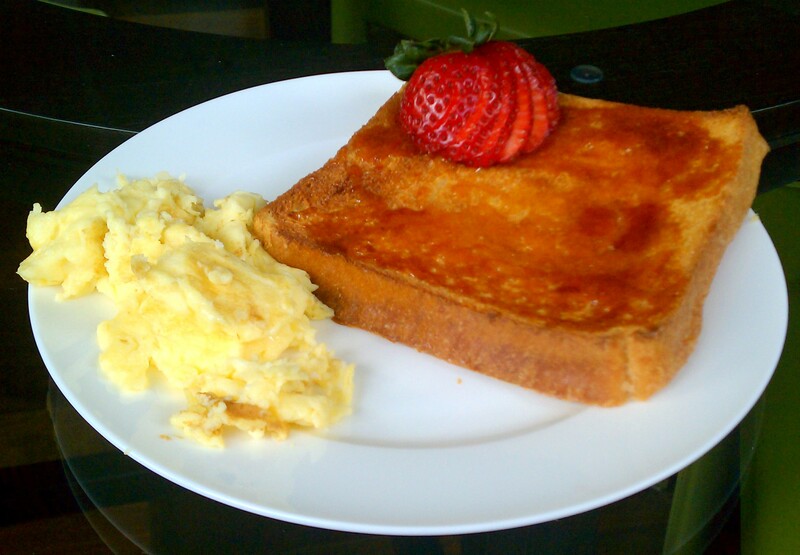 I couldn’t find an unsliced loaf anywhere, so I substituted thick Taiwanese toast from Sogo Bakery. As you can see, they weren’t nearly as thick as the original recipe, so I had a lot of unabsorbed custard left over after soaking the bread overnight. This was also my first time caramelizing sugar, which was terrifying and awesome at the same time. The sugar first started “sweating” a little…then turned brown really quickly! Mine burnt a little in the extra 30 seconds I took to snap a picture. When the recipe says “color of honey,” it really means color of honey. Any browner and you’ll get burnt sugar, which doesn’t actually taste that bad. Length of procrastination: About 1 hour, not counting soaking time.